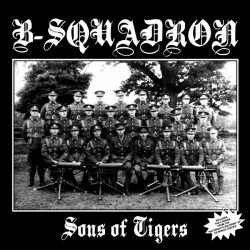 It was only 2015 when Leicester’s own B SQUADRON debuted with their four-track EP “Saturdays Soldiers”, but still - it quickly gained the band a cult status throughout the UK and beyond. And for good reasons, the music was raw, uncompromising, violent and a real tribute to the British sound of the 80’s, music for maniacs indeed! In 2018 the top boys have returned with their first ever full-length album “SONS OF TIGERS”, it was an absolute scorcher from start to finis! 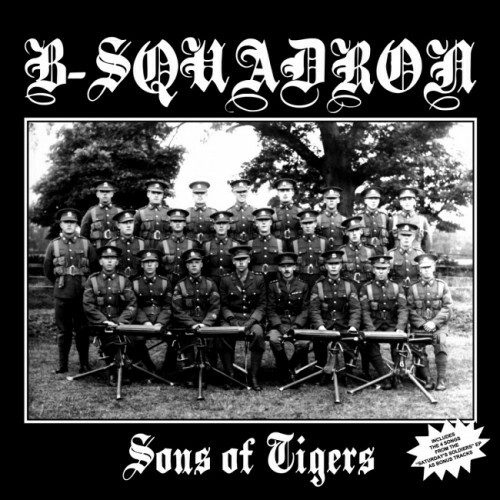 With a mix of brand new hooligan anthems, fan-favorites of the “Saturdays Soldiers” EP and covers of bands that inspired the Squadron, “SONS OF TIGERS” was an all-out attack of 13 powerful battle hymns that fans of The 4-Skins, Combat 84 and Cockney Rejects will love! Blinding! The album sold out in no time, so here is the 2019 repress with completely renewd artwork and 4 bonus tracks from the Saturday’s Soldiers EP.